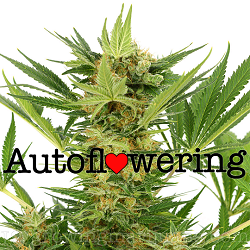 Buying autoflowering seeds in New Jersey has become very popular over the last few years, with several top quality strains available. Highly recommended for their speed and ease of growth, they are capable of producing potent harvests within ten weeks from germination, regardless of the number of hours of darkness the plants receive. Ruderalis, a wild form of hemp, provides the ‘auto-flowering’ genetics, and while it’s crude, natural form isn’t any good alone, combined with high quality traditional strains, produces feminized seeds with the best attributes of both sets of parents, able to generate high quality buds automatically, regardless of the number of light or darkness hours the plants receive. Once established, autoflowering seeds can grow quickly, developing roots, branches and buds simultaneously. Often growers speed-up the time from outdoor planting to harvest by germinating the seeds indoors. This allows the plant’s time to develop for the first couple of weeks, before being placed or planted directly into the ground outside. Unlike both regular and feminized marijuana seeds, autoflowering seeds require no set hours of darkness to flower and completely mature. In fact, the biggest and best quality harvests are achieved during the height of Summer, when the plant’s receive the longest, and strongest hour’s of direct sunlight. Regardless of when they are planted, growing autoflowering seeds in New Jersey will require between seven and nine weeks to fully mature, depending on how well developed they were, prior to being planted outdoors. 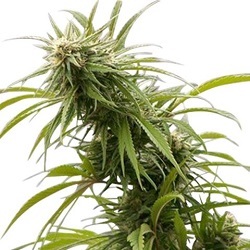 Autoflowering seeds planted from early April through to even the end of August, will have enough time to develop and mature, prior to the onset of Winter. Regular harvests, as early as June can be achieved, through to October, by correct planning and strain selection. By limiting the number of plants you are growing, you also reduce the risks involved with growing marijuana seeds in New Jersey, while still maintaining a regular supply. Unlike the traditionally planted feminized varieties, which won’t be ready to harvest until the early Fall. While some states in the USA permit the limited growing of marijuana seeds, others don’t, and so, guerrilla growing has become very popular in many areas. By employing a set of techniques, the risks associated with growing marijuana seeds can be significantly reduced, with many planting autoflowering seeds as their chosen preference. One of the key points of guerrilla growing is to spend as little time as possible with the plants to reduce the chances of being caught with them. Buying Marijuana Seeds in New Jersey that require as little care and attention as possible is a key factor, and with their easy-to-grow, fast flowering characteristics, it’s easy to see why many people are buying autoflowering seeds in New Jersey to plant this coming season. Whether you’re an experienced veteran grower, or one new to growing marijuana in New Jersey, planting autoflowering seeds outdoors will produce similar harvests. Beginners can produce fast, outstanding harvests by doing very little and leaving the plants to do what they are meant to do, while more experienced growers can focus on the finer arts of improving both the yield and potency, while not worrying if the plant is okay. 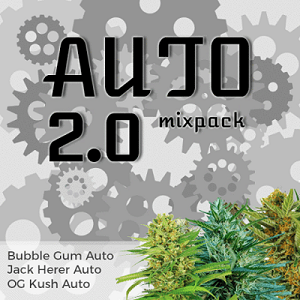 The rise in popularity of autoflowering marijuana seeds is down to the ease and speed with which they can be cultivated, by both new and experienced growers alike. Requiring very little care, attention or previous experience, even a new-comer can grow a valuable, worthwhile crop. 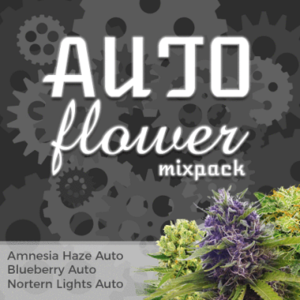 With a choice of seeds available, select from potent, classic strains such as AK 47, White Widow and Northern Lights, all feminized and guaranteed to germinate, generating a pure female autoflowering marijuana plant. To help you achieve the most potent harvest, we recommend downloading the Growing Marijuana Guide. Written by Robert Bergman, owner and founder of I love Growing Marijuana, it contains detailed and accurate information regarding all aspects of growing marijuana, from germination through to harvest. Available free and without obligation, download it today and learn more about growing marijuana in New Jersey.